San Telmo presents ‘Black is Beltza’, an exhibition project by Fermin Muguruza about the transmedia arti-fact and the process of creating the animation film of the same name. 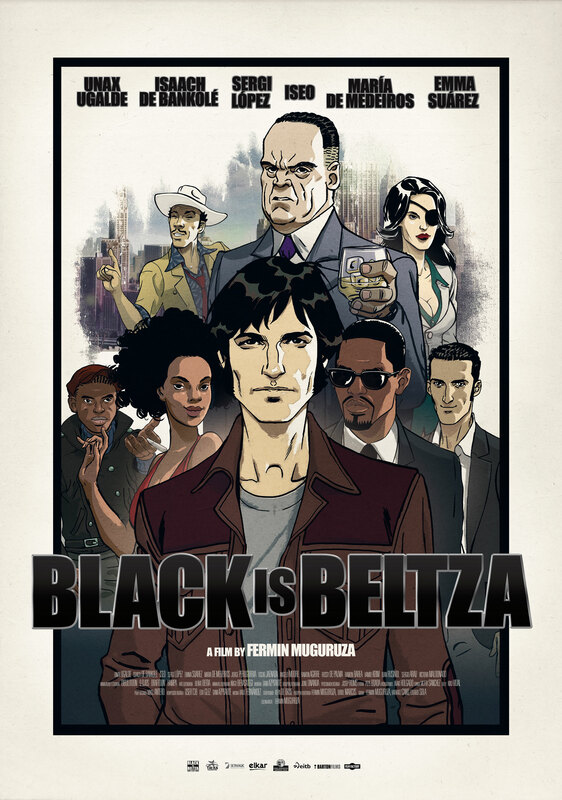 ‘Black is Beltza’ builds a story of action and espionage that mixes music, love and revolution. The narrative tells of the events that marked the convulsive society of the mid-sixties, mixing fact and fiction, from the perspective of Manex Unanue, one of the porters of the black giants who could not march in New York in 1965 along with the rest of the giants of the carnival troupe due to the prohibition by the North American authorities, a product of the racial discrimination of the time. The exhibition shows material that has directly and indirectly nurtured the different phases of the project: from the photographic archives that helped the authors to structure the story, documentation from the time that served as a reference for the cartoonists, the original illustrations of the animated film, different backgrounds where the action takes place, or audiovisual materials that give an account of the socio-political and cultural landscape of the time. ‘Black is Beltza’ includes a public programme of parallel activities to be held in the exhibition space, such as guided tours, a season of animated films for adults and an evening ‘San Telmo gaua – Black is Beltza’, around the issues that are addressed in this project. From 15 June to 30 September 2018.